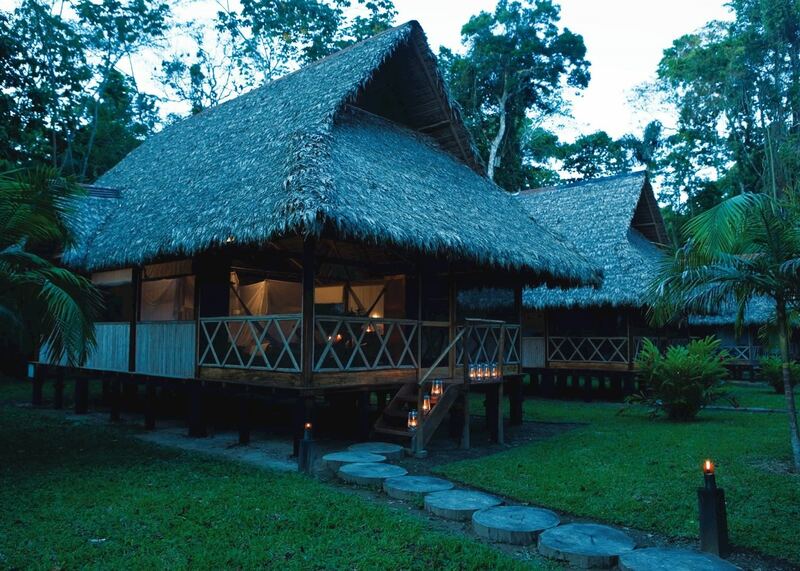 A private ecological reserve and research center, this comfortable lodge is situated on the banks of the Madre de Dios River in the southern Amazon region of Tambopata. 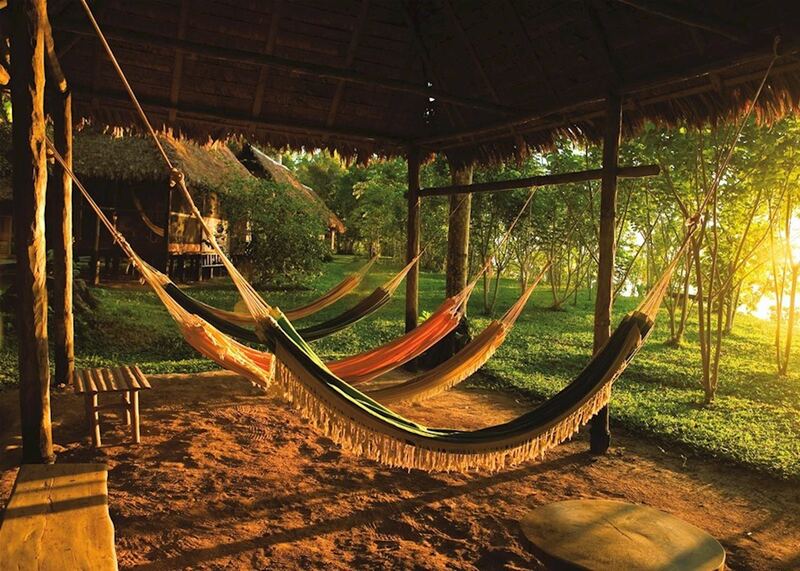 This comfortable lodge is situated on the banks of the Madre de Dios River in the southern Amazon region of Tambopata. 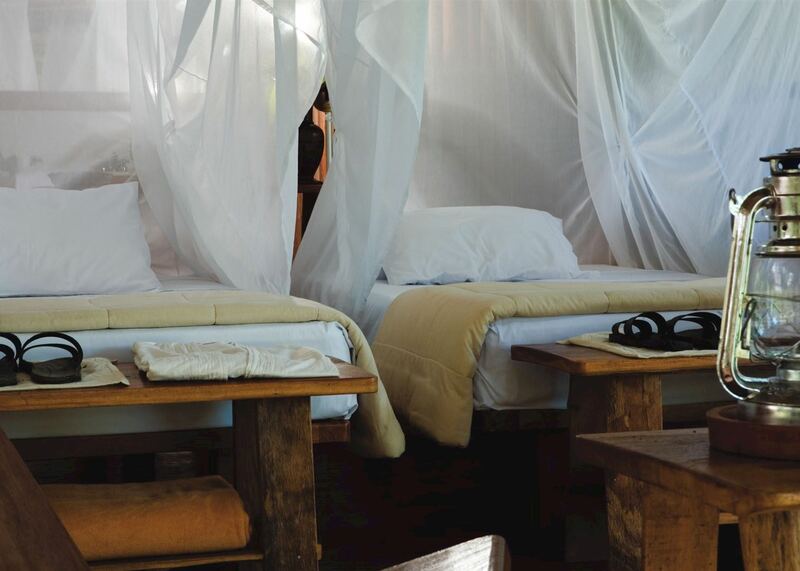 A private ecological reserve and research center that occupies 10,000 hectares, the accommodation is provided in 38 private cabins and six suites which are built from local materials. 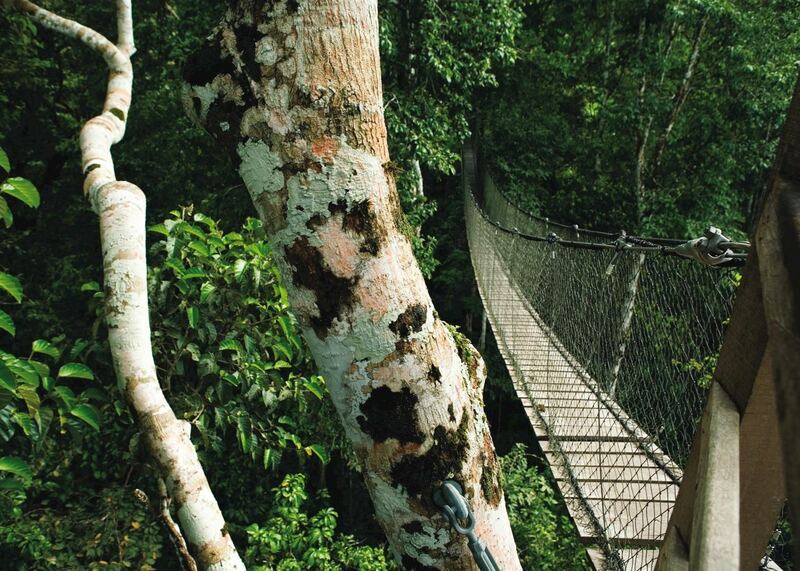 A canopy tree house has now also been built in which guests can stay the night at additional cost. 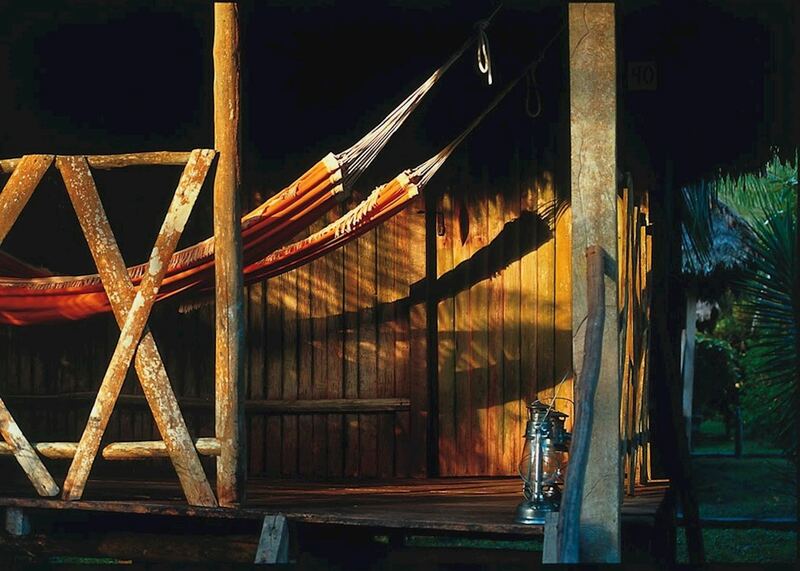 All cabins have a terrace with hammocks, private bathroom and mosquito netting. A pavilion houses the dining room and lounge bar. Hot water is also available throughout the lodge. Hacienda Concepcion is a comfortable and family friendly option for those looking for a general introduction to Peru's Southern Amazon. Located on the Heath River that divides Peru and Bolivia, this amazing wildlife center is situated in the middle of the largest pristine rainforest in the Amazon. 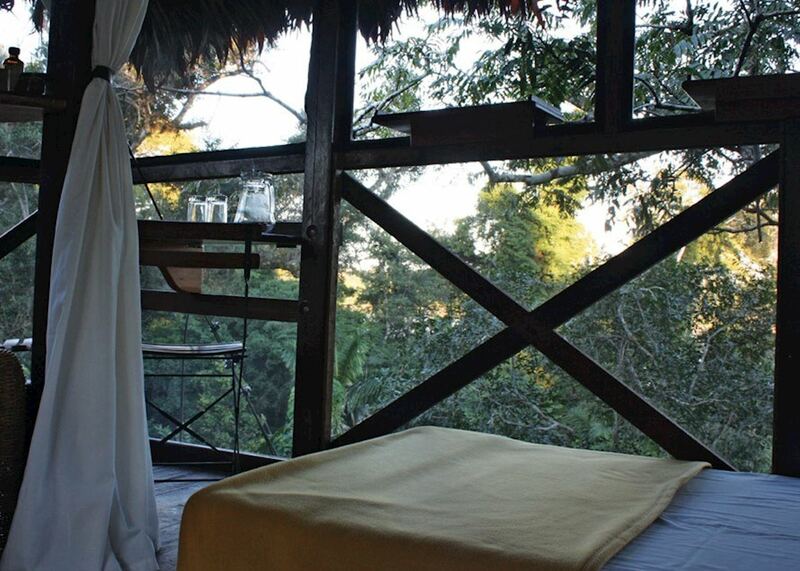 The rooms at the Posada Amazonas are designed to be at one with the rainforest and only have three walls with a private open veranda facing the dense rainforest. 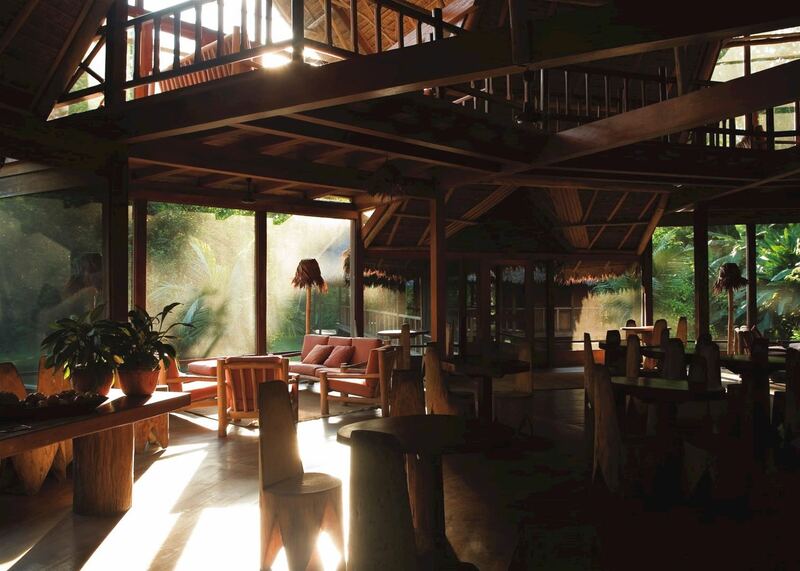 A great lodge that offers comfortable rooms, in a setting deep into the jungle for a good chance of wildlife sightings. Located deep in Peru’s Tambopata Amazon Reserve, this lodge is situated by Sandoval Lake which is reputed to be one of the most wildlife-rich lakes in the reserve. Spartan but comfortable enough, Tambopata Research Centre offers close proximity to the largest Macaw clay lick in the world and wildlife viewing is unparalled in this area. It also boasts excellent naturalist guides.